Moving a car to your Apt, Home or Office can be fraught with problems. How long will it take to ship a car from one city and State to another city and State? What if your vehicle gets damaged during transport? What if your vehicle never arrives at the destination, what do you do? Should your fuel tank be empty or full. What about oil? What, if anything, can you carry in the trunk and or back seat of your vehicle? Does your vehicle need to be in good operating condition with working brakes? What if it leaks oil? Read on to have these and other questions answered. To Move It Or To Sell It That Is The Question? One of the most obvious reasons for selling your car before moving is to cut your total costs. Will you need a vehicle in your new city? Map your transportation needs. It could be more practical and convenient to opt for public transportation if it’s readily available in your city. Is parking readily available at your new home? Check out the parking options and any associated costs in advance if you plan on moving into apartment-style living. Then decide if the parking costs are reasonable and within your budget. How are you going to transport your car to your destination? You have a few options here: They include shipping, driving or towing your vehicle. You may be able to have your mover load your car onto the van along with your furniture and other household items. But this happens to be the expensive option because moving companies charge by weight, time, and distance, and your car is a heavy item. You will probably be happier using the services of a company that specializes in shipping vehicles. 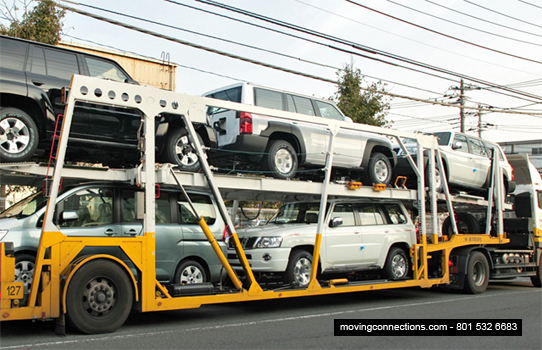 These companies are usually referred to as Auto Transport or Car Shipping company. They will transport your vehicle in an enclosed truck or on an open truck like the ones used to deliver new cars to dealers.